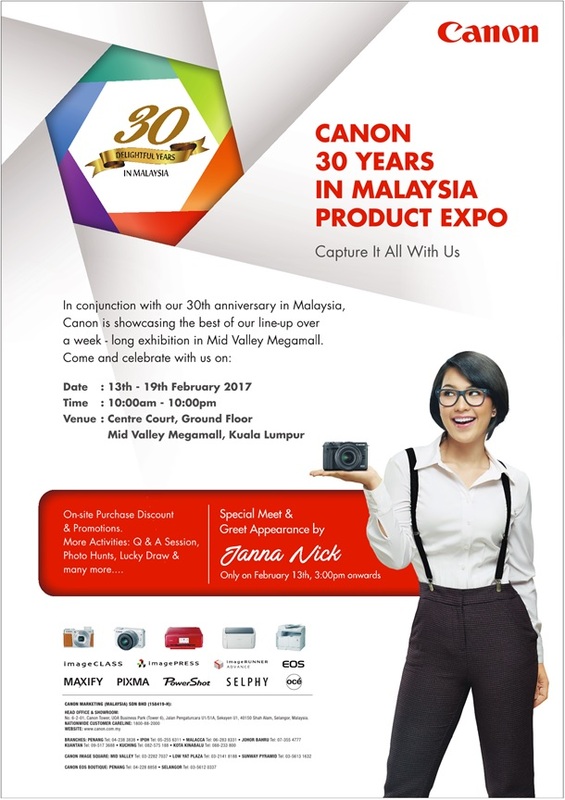 Canon Marketing (Malaysia) Sdn Bhd will be celebrating its 30th anniversary this year. In conjunction with our anniversary celebration, Canon will be showcasing its best product line-up at Mid Valley Megamall from 13 – 19 February at Centre Court, Ground Floor. There will be great bargains, discounts and promotions the whole week plus many more activities and games. We hope to see you there!